ONE FOR ALL, a cooperative sextet of some of the hot young players on the New York scene, present a swinging and soulfull performance in the hardbop tradition, but with evolving contemporary explorations that are indeed 'Upward and Onward' . 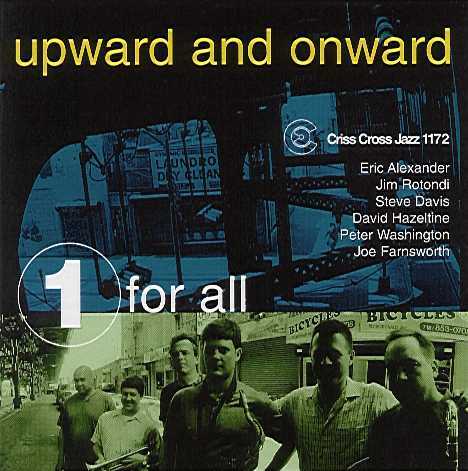 The group features crisp ensemble work and dynamic solo thrusts from young lions Eric Alexander, Jim Rotondi, Steve Davis and David Hazeltine backed by bassist Peter Washington and drummer Joe Farnsworth. 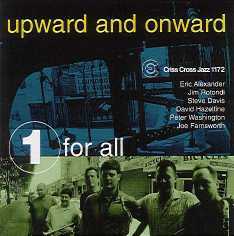 All musicians of this group have recorded as leaders for Criss Cross on several occasions.